The film is about veterans and soldiers. It's built on interviews, in which they share their personal stories. It's about making a decision to go to a frontline, being a soldier, then coming back to a regular civil life, and for some – going to the war again. With the interview's focus on faces, eyes, words, emotions, the story reflects the process of transformation from a soldier to a veteran. It also unfolds the motivation of becoming a soldier at first and explores frontlines' effect onto personality. The narrative is built as the story of a one man. 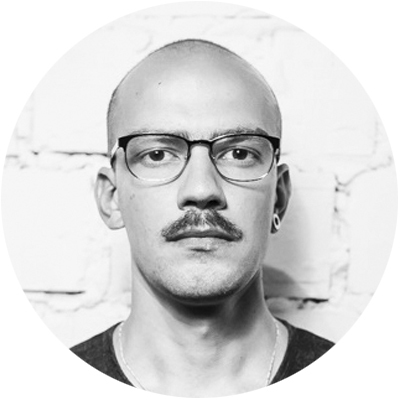 Serhiy Morgunov is an independent Ukrainian filmmaker, cinematographer and documentary photographer. He took part in international thematic exhibitions, was published in international media and books. Since June 2014 he has volunteered in the ATO zone, close to the demarcation line. In March 2017, he was nominated for Joop Swart Masterclass by World Press Photo.